…making lots and lots of interesting vinaigrettes because then I can eat nothing but the leftover veggies in my fridge and still feel like I cooked. 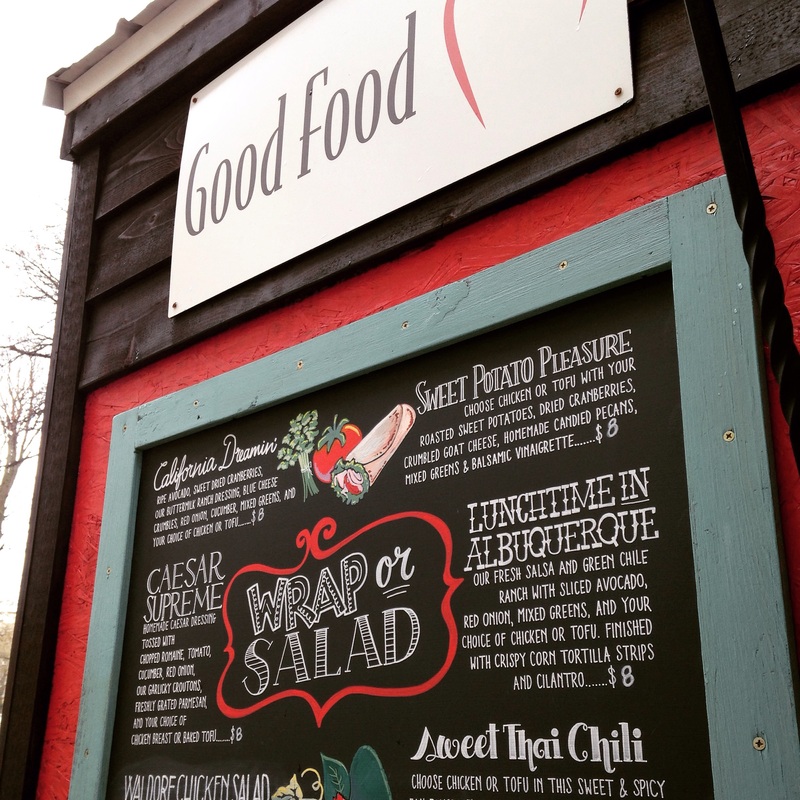 …eating at the Good Food cart no less than one time per week. Sometimes more. …trying to stifle the tears over my busted laptop and its unrecognizable hard drive. Not that much stuff happened from 2012-2015 anyways. I don’t need those pictures or documents or records or… memories. 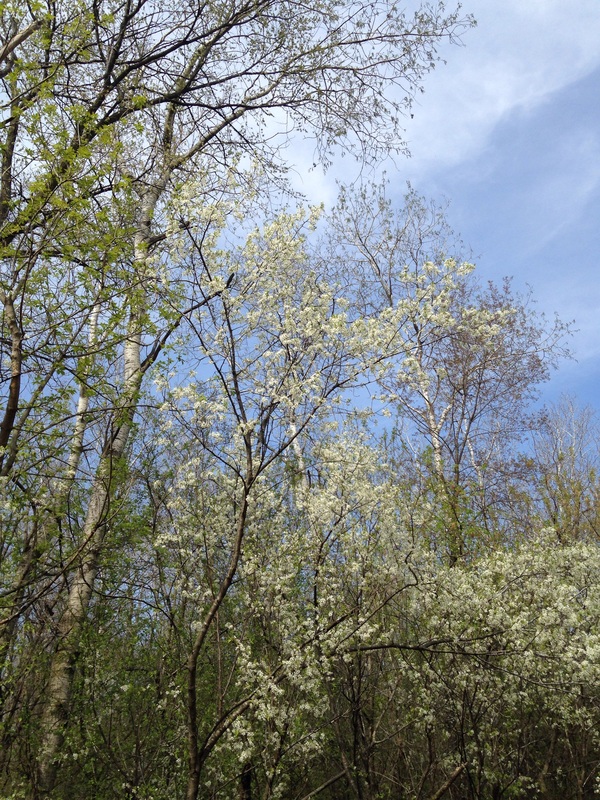 …getting delicious whiffs of spring flowers around every corner. 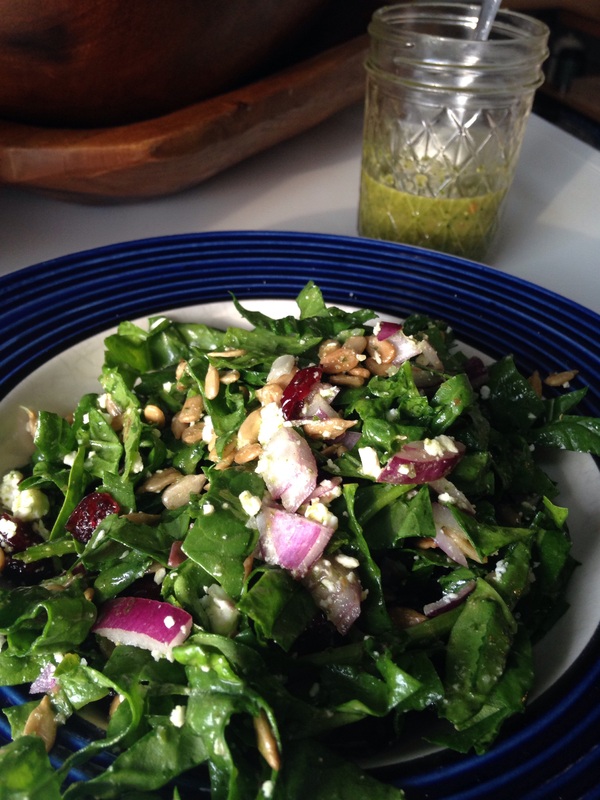 …celebrating that our 2015 CSA is full for the season!!!!!!!!!!! 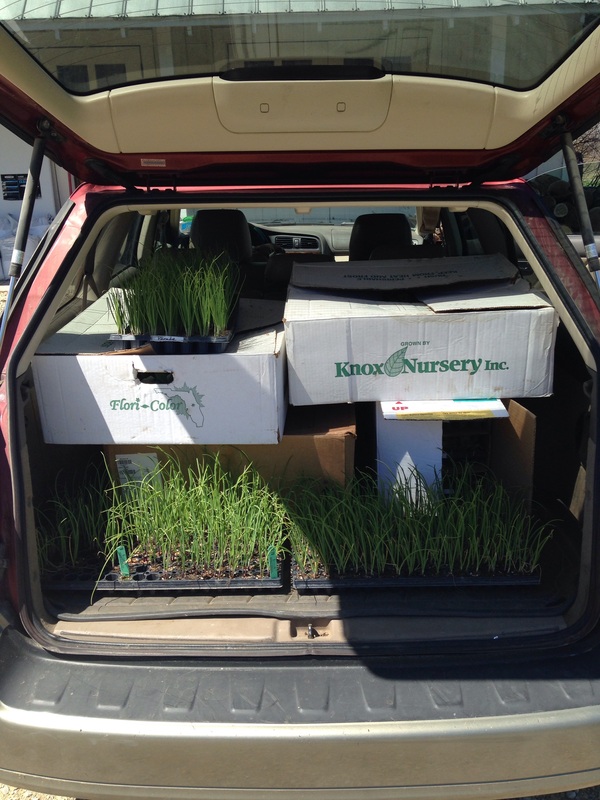 50 members have signed up to enjoy yummy veggies grown by us every single week of summer (June 10th to October 21st)! 50 people love and believe in us!! 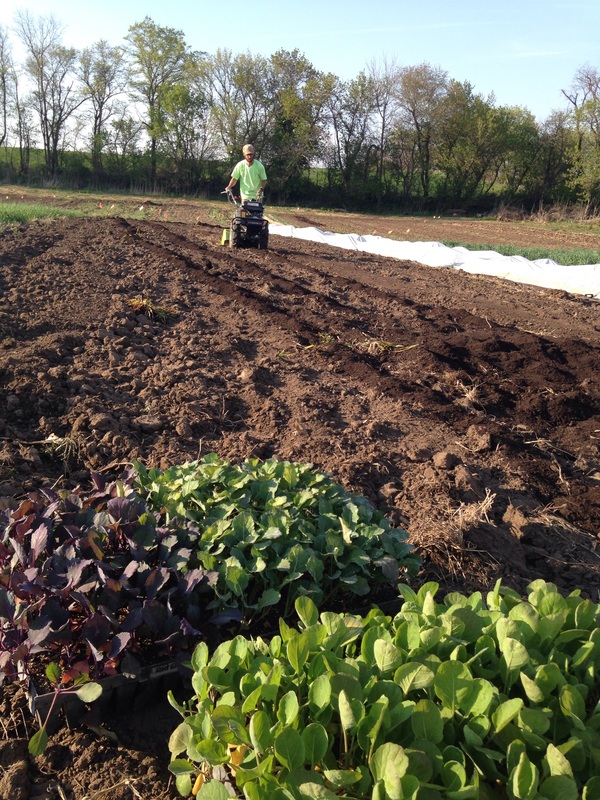 …transplanting all of the broccoli and lettuce and cauliflower and kale and onions and weird but yummy spring greens that our CSA members will be eating in exactly four weeks and one day’s time. 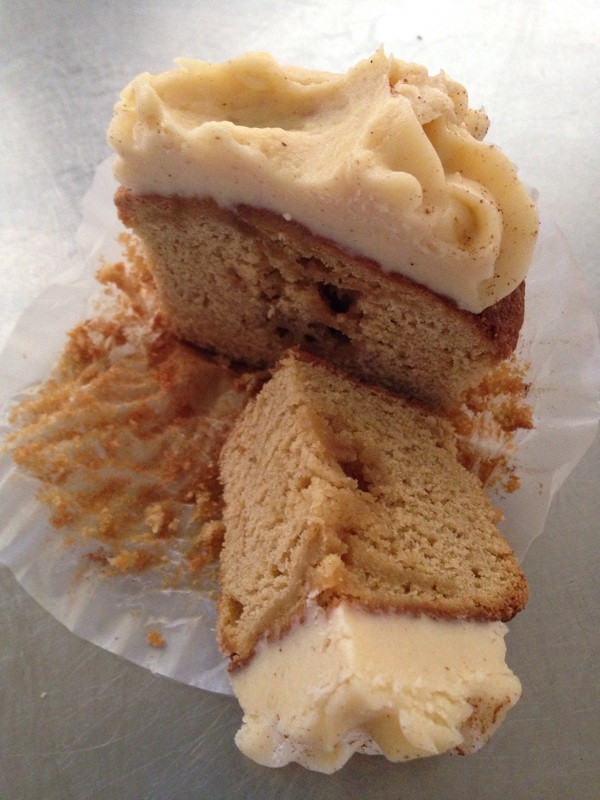 …having an extreme sweet tooth that can only be remedied by making all of my old stand-by Smitten Kitchen recipes and finding some new favorites along the way. …listening to the Farmer to Farmer podcast religiously and repeatedly and taking notes whenever I’m not driving. …not getting the three oil changes that our three vehicles desperately need. Yes, we somehow have three vehicles right now. 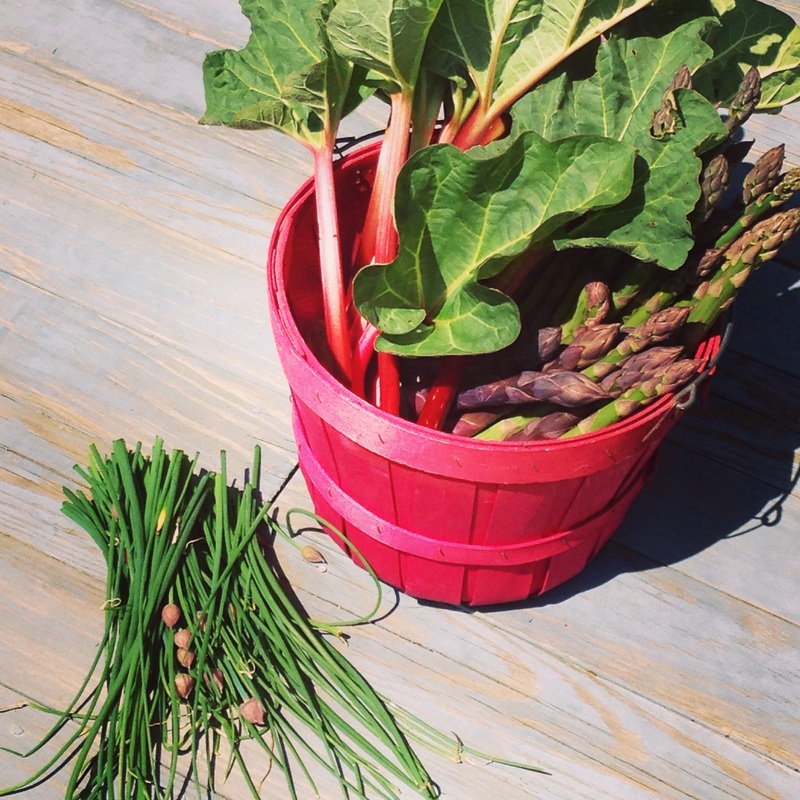 …harvesting asparagus and rhubarb and chives from our teeny, little, perennial homestead garden patch every chance I get. …meeting cute farmers everywhere I go. …going totally crazy for my friend’s new business and trying to figure out all the people in my life that own homes and live in Wisconsin and deserve one of these beautiful things! 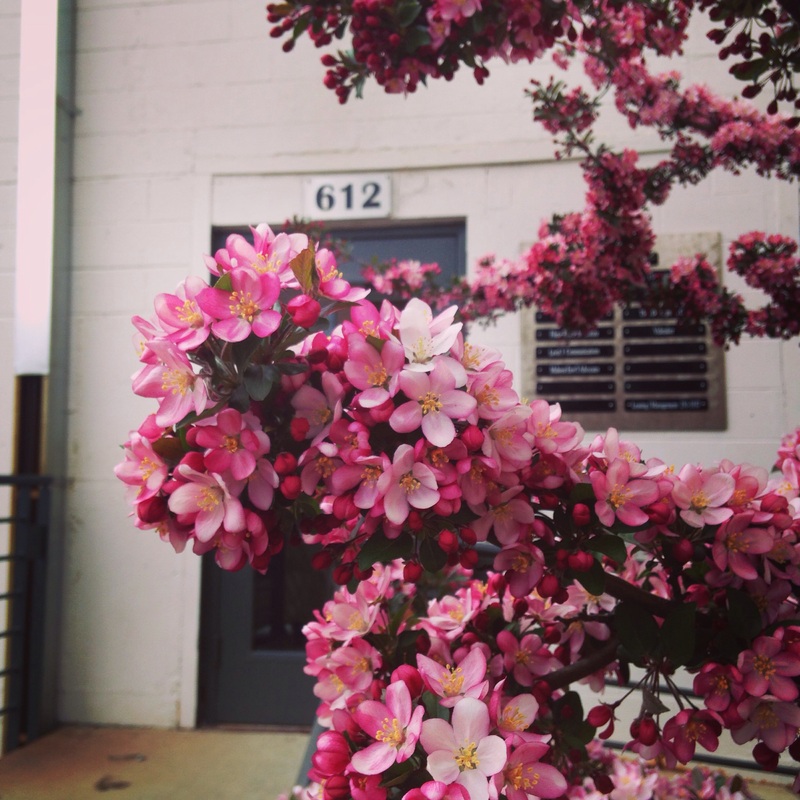 …loving spring so freaking much because I get to farm (!!!) but also hating spring because I forgot how to have balance and grace present in my life. Everything is chaotic. All. of. the. time. “Have grace with yourself,” says my friend Carly. I will try. I will try. P.S. Look at how good my Carrot husband is at (a) taking photos and (b) growing flowers. 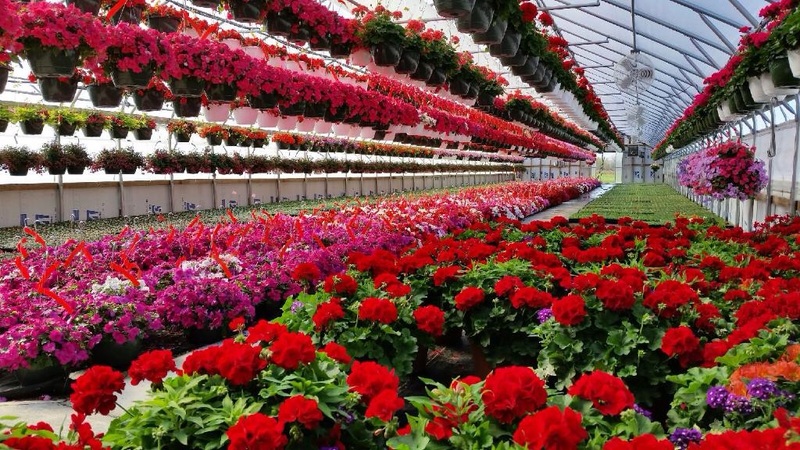 I have no doubt in my mind that “his” greenhouse at Kopke’s is the loveliest. 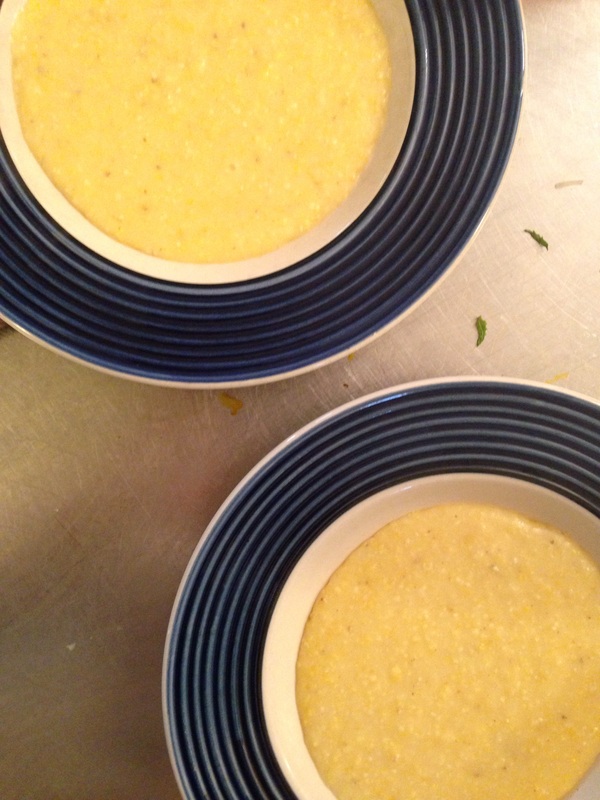 For preparing the polenta, you will want to use a stainless steel pan and a heavy whisk. Polenta likes to stick to the bottom of pans while cooking. To prevent this you will need to stir every ten minutes or so and each time you stir, you will need to vigorously scrape the polenta from the bottom of the pan with the whisk. If you use a non-stick pan, it will likely still stick, and you may aggravate the non-stick surface with your metal whisk. 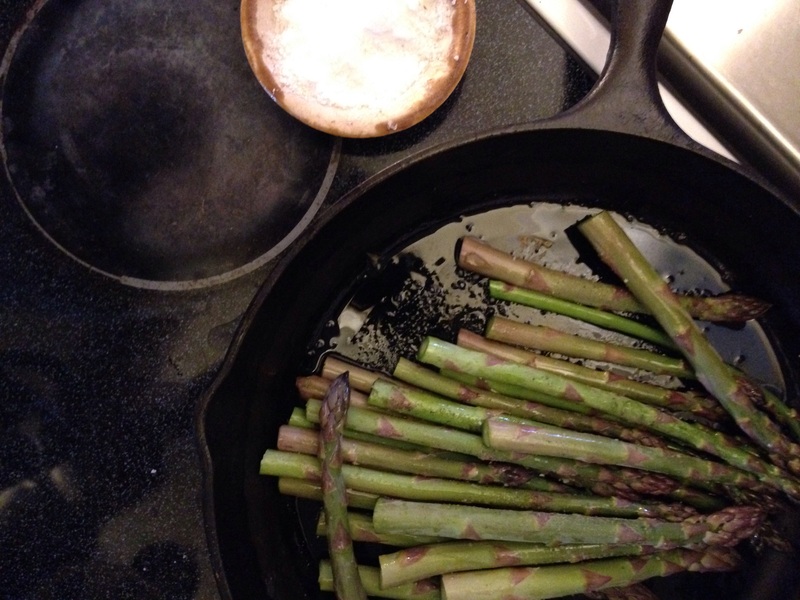 For the asparagus, I recommend a cast-iron skillet for perfect even charring. Bring water to a boil over medium high heat in a medium saucepan. Add 1/2 teaspoon salt. Slowly pour the polenta into the boiling water while whisking gently. Turn the heat down to low but continue whisking until the polenta has thickened slightly, about a minute. Be sure to keep scraping the bottom and edges of the pan with the whisk to prevent it from sticking. Cover the polenta and cook on low for 30-40 minutes. Remove lid every 10 minutes and stir vigorously with a whisk, being sure to scrape the sides, corners and bottom of the pan. Taste at 30 minutes of cooking. Adjust seasoning and allow to finish cooking to the consistency you desire (30 minutes will be a soupy polenta, 40 minutes will be thicker; I much prefer the 40 minute polenta). While the polenta cooks, heat oil in a large cast-iron skillet over medium heat. 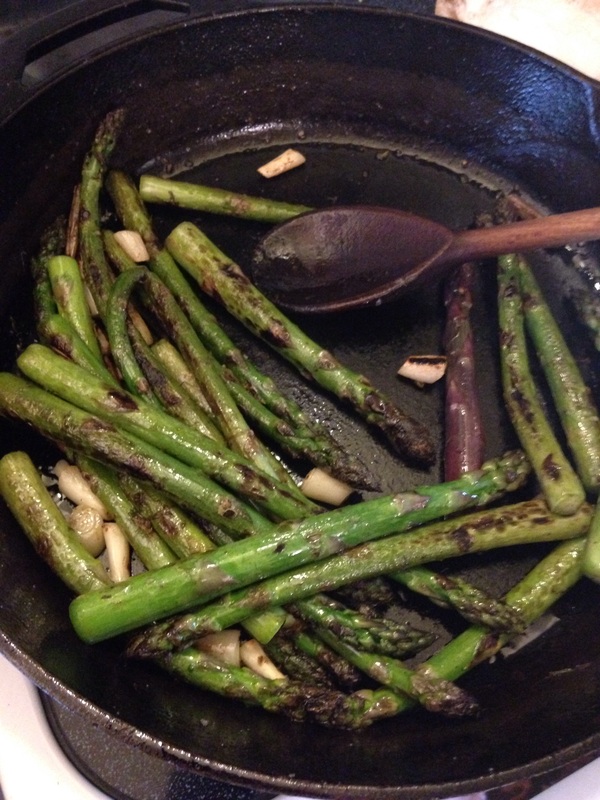 Add the asparagus along with a generous amount of Kosher salt and freshly ground black pepper. Cook asparagus over medium heat for about 15 minutes. 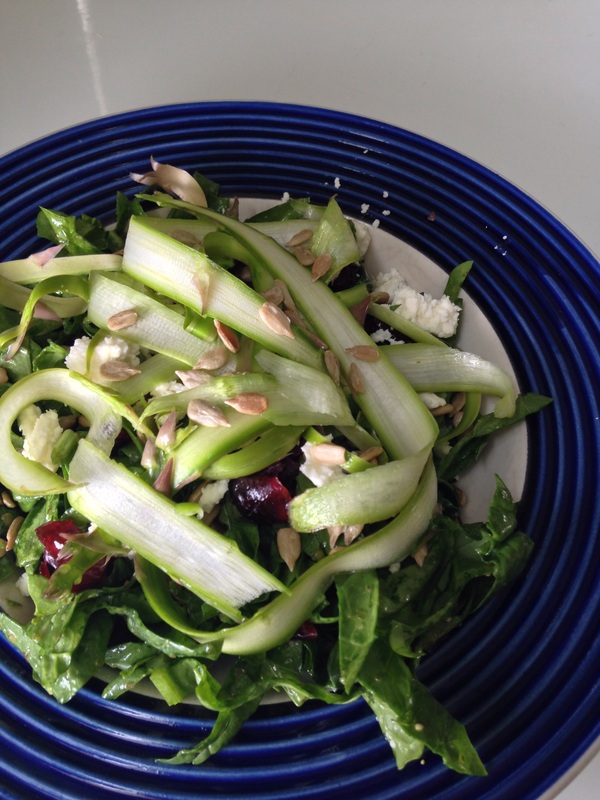 You will want to stir (or toss) the asparagus every couple of minutes. This will ensure even cooking but give it time to char on all sides. After 15 minutes, asparagus should be blackened and mostly cooked (but not mushy). Reduce heat as needed. Add ramps. Cook 2 or 3 minutes more until ramps are also charred. If you are using the ramp greens, you would add them at the same time as the white parts. Taste and adjust seasonings as desired. Stir butter and cheese into cooked polenta. 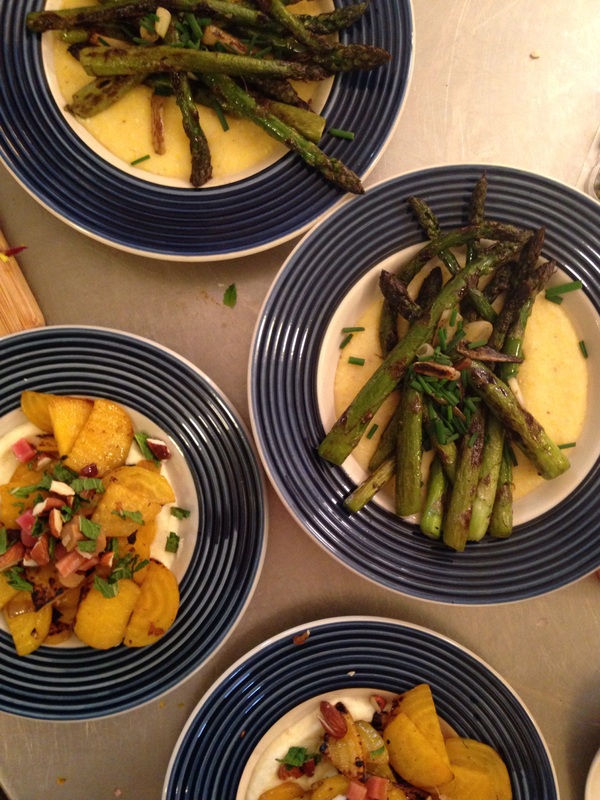 Pour polenta onto plates. Top with vegetables. Garnish with fresh chives if you’ve got ’em!